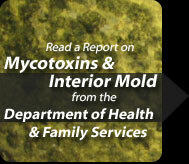 Leaking roofs, floods and faulty plumbing can all cause situations that allow mold to grow and flourish in indoor environments. When any one of these scenarios occurs it is normally quite evident. Steps can usually be taken to stop the water source, quickly dry out the damaged building materials and prevent or minimize mold growth if the situation is recognized and properly rectified. 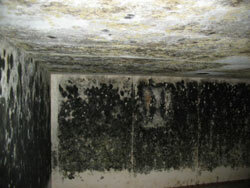 Since mold typically only needs three factors to grow; moisture, ambient temperatures (the same temperatures we humans enjoy) and a food source (most building materials and interior furnishing readily act as ideal food sources for fungi), the ability to control moisture is all that stops mold from growing in most buildings. An often overlooked, but just as problematic, source of moisture that can lead to mold growth and unhealthy indoor environments is elevated levels of humidity and condensation. 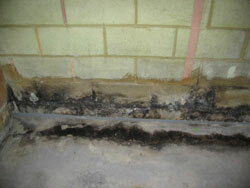 Both of these conditions can provide the needed moisture for mold to grow and flourish. Humidity can come from environmental sources such as outdoor air or from such manmade sources as indoor pools, showers, cooking, evaporative coolers and numerous other scenarios. Humidity is defined as the amount of water vapor in the air. ASHRAE Standard 55-2004 - Thermal Environmental Conditions for Human Occupancy recommends keeping relative humidity between 30 to 60% with below 50% being ideal to prevent and control dust mites (also a source of indoor air quality problems). 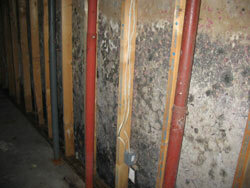 The end result of all this moisture can often lead to mold growth, which at times may not even be readily visible. With moisture, mold can begin to grow within 24 to 48 hours and begin releasing spores into the air that are eventually breathed by the building’s occupants and settles on surfaces throughout the property. 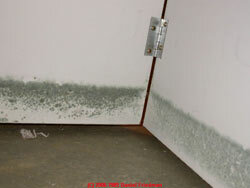 What is important to recognize is that humidity needs to be controlled to prevent condensation. 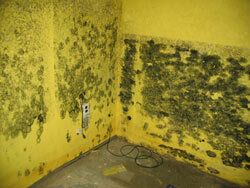 This can be done by using properly designed HVAC systems, dehumidifiers and exhaust fans. It is also important to identify and insulate any parts of a property that can become cool enough to allow condensation and eventually enable mold growth.